This comprehensive guide covers the entire inventory management process from the initial determination of how much stock you should have on-hand to best storage methods and ensuring inventory accuracy. Each of the nine main sections provides a wealth of real-world examples, sample documents and formulas that you can put to work right away in your warehouse or distribution center. A review of the basics of effective warehouse management, including techniques for determining the best material storage methods, barcoding, cycle counting, reducing damage, protecting against theft, improving housekeeping and more. 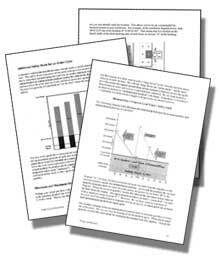 Methods for determining when stock should be replenished, including: the techniques for determining future demand, the best forecast formula for each item, adjusting for unusual situations, forecasting far into the future and more. Tips for determining reorder quantities, including techniques for determining average lead time and safety allowances, order cycles and line points, the most economical reorder quantities, the cost of carrying inventory and more. Ways to verify that the on-hand quantity in your system reflects what is actually on the shelf including details on how to conduct a full physical inventory, geographic cycle count, and rank-based cycle count. If youre ready to improve your inventory management, this book will help you put the right systems and procedures in place. And now, you can increase the value of Achieving Effective Inventory Management with the companion spreadsheets. The set includes 12 Excel spreadsheets on a PC compatable disk, a hard copy of each spreadsheet, and detailed instructions. Using the spreadsheets and your own data will provide the information you need to better manage your inventory. Click here for more information on Spreadsheets to Achieve Effective Inventory Management. What is the purpose of good inventory management? Summary: What do you do now? 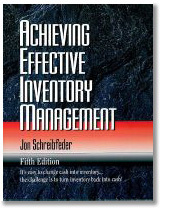 Jon Schreibfeder is president of Effective Inventory Management Inc. Over the past 18 years, Jon has helped over one thousand companies improve their productivity and profitability through better inventory management. A featured speaker at international seminars and conventions, Jon has earned the title of Inventory Subject Expert from the American Productivity and Quality Center. If for any reason you are not totally satisfied with Achieving Effective Inventory Management, simply return it within 30 days for a complete refund.